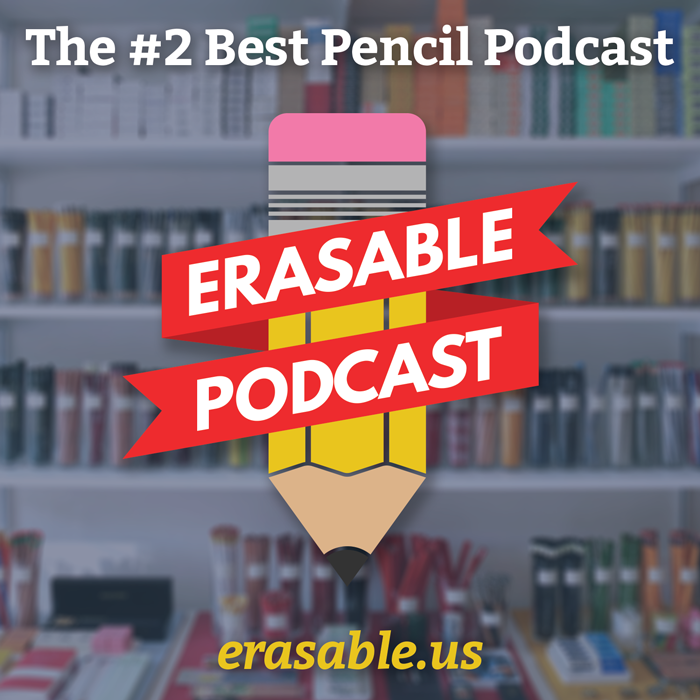 The Erasable Podcast now has stickers! Update 08/20/14: We are now sold out. Let me know with this form if you’d be interested in being notified when/if we stock more! 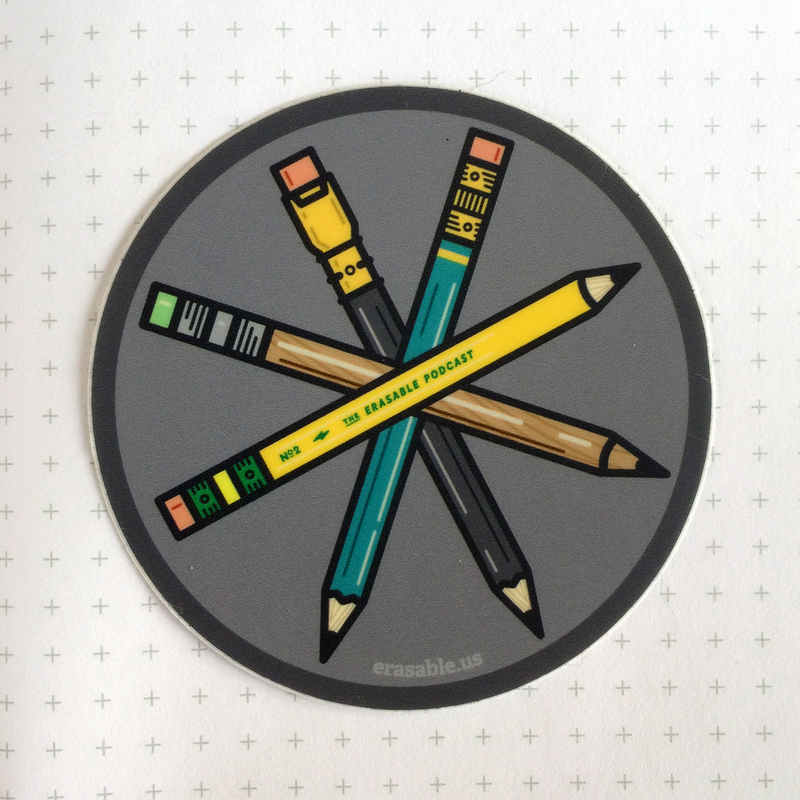 Each sticker is 2.5″, (slightly bigger than, say, the Apple logo on the front of a MacBook), and features four pencils from the Woodclinched Vector Pack (although the yellow-and-green faux Ticonderoga was customized specifically for this sticker). Slap it on your pencil case, your tabletop pencil sharpener, your car window, or heck, put it with the other stickers on the back of your laptop like me! We’re selling them for $2 each, or $5 for three (plus $1 for shipping) over here. If you live outside the US, you may notice that it doesn’t give an option to ship internationally, which I didn’t realize before I set up this shop. 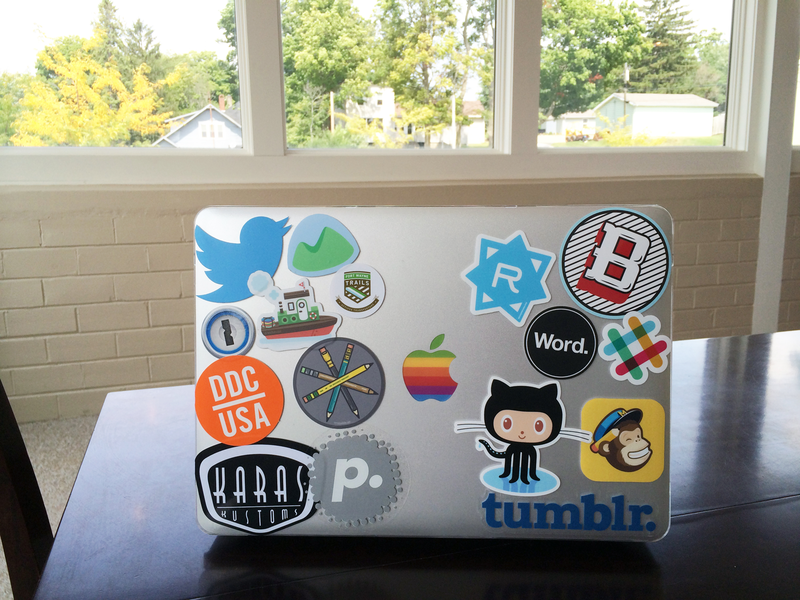 So, if you aren’t in the US of A, and you want to get ahold of some of these stickers, email me. We can bypass this whole thing and go straight to PayPal.